Being based in the UK working from our office in London I don’t often get to experience all the stunning weddings in Spain that the team at SWS get to work on, however as this Summer season has been so busy I had the opportunity to fly out to southern Spain for the past few weeks to assist the team in Malaga Spain and work on a number of weddings in Spain, and this season it has been an absolute pleasure. Looking back over the years when I decided to get married in Spain 14 years ago and help set up Sunshine Weddings Spain, along side my brother Scott, I now remember why I chose to have my wedding in Spain. 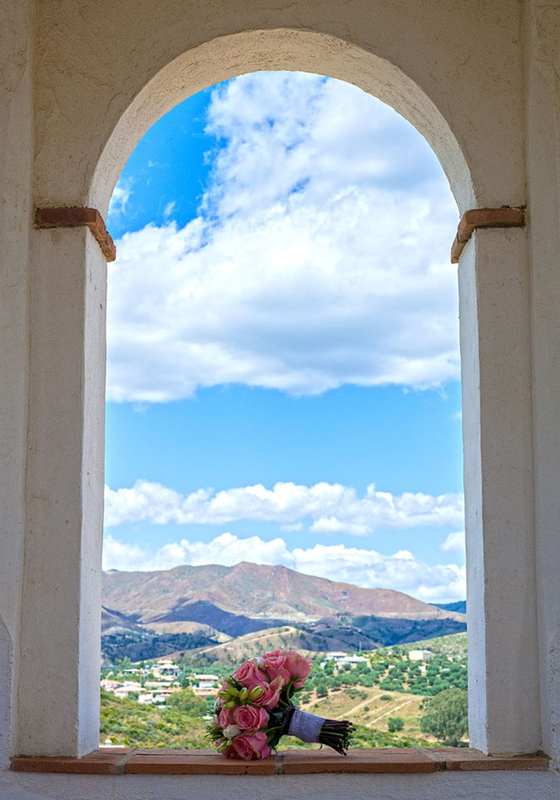 Like many of our brides, I too took that short 2-hour flight over travelling from London Luton to Malaga southern Spain and landed to clear blue skies and the glistening blue sea, drenched in sunshine. As I drove along the coastline, with the backdrop of the rural countryside and stunning mountains, it all came back to me why, like many of our bridal couples, I decided to have my dream wedding in Spain. When we discuss each venue in Spain with bridal couples it is easy to imagine just how stunning the settings are, however to see each special wedding venue in Spain bought to life with stunning flowers and personalised décor it again bought all my memories flooding back and reminded me of what an amazing wedding destination Spain is for any couple who dream of getting married in the sun. The flowing drinks and food at each function have been delicious and the atmosphere electric for not only the bride and groom, but guests, who all commented on what an amazing few days or week they had experienced. The days had been filled with activities and all groups from the bride and grooms families had come together to create one big wedding in Spain making life long friends and reuniting with old friends and family members. It has been a wonderful experience working with our fantastic group of wedding planners in Spain seeing all the diverse and stunning wedding venues in Malaga Spain and being able to share in the experience of each bride and grooms wedding in Malaga Spain. I am now back in the UK writing this blog and looking out of the window I know exactly why so many brides choose to get married in Spain – you just can’t beat the sun, warm weather, great food and wine, and the experience of being with friends and family in such a wonderful country as Spain!